Being a working Mom, I hardly get time with my little one during the weekdays. Children always need a good time with their parents. 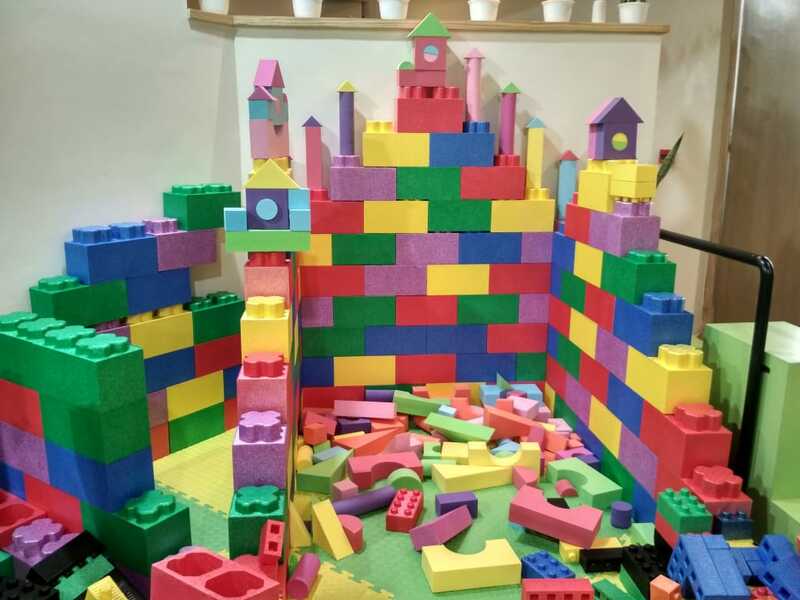 Therefore, I had been continuously looking for good places that I can enjoy with my kid. 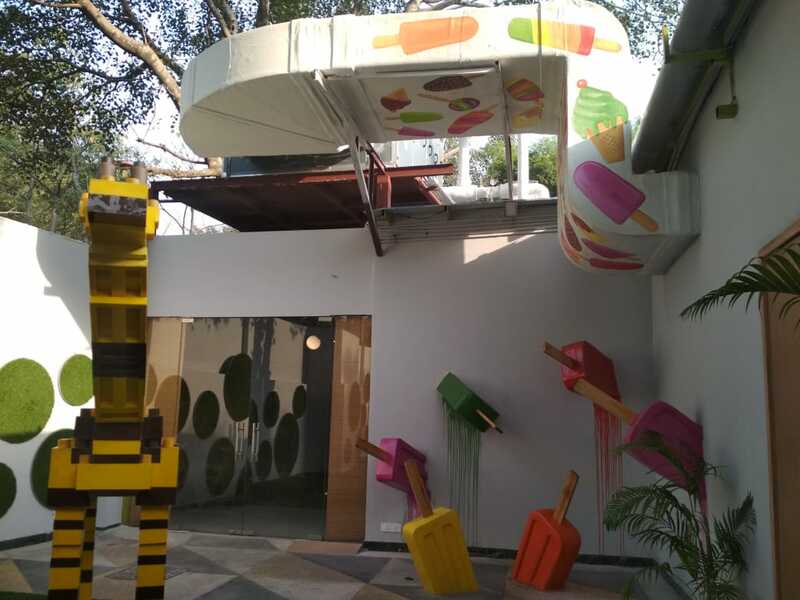 This Sunday I went to this newly opened place named playhouse by Essex Farms near Hauz Khas Metro Station. The playhouse by Essex Farms designed by definitely a child expert who kept in mind everything that is needed for children between the ages of 3 years up to 12 years. 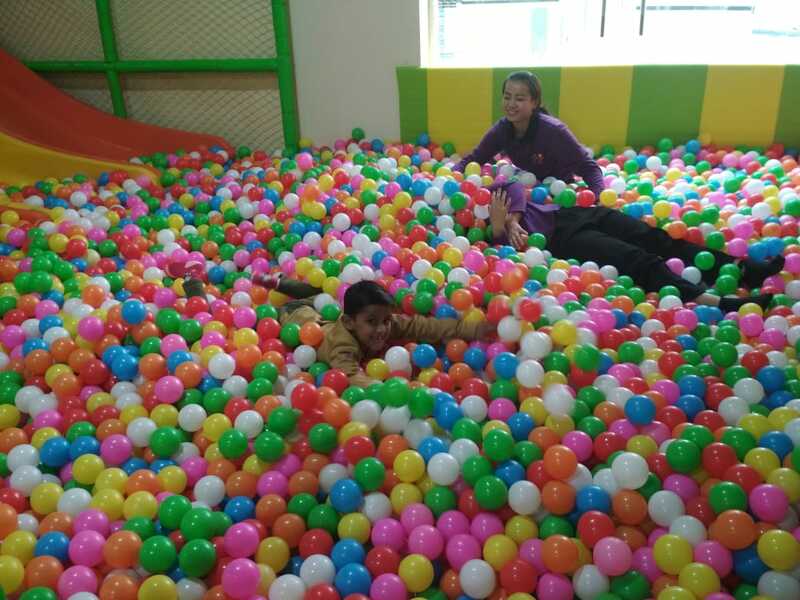 A dazzling indoor attract the children and creates an excitement and happiness on their face. Its Indoor and outdoor both are well designed. 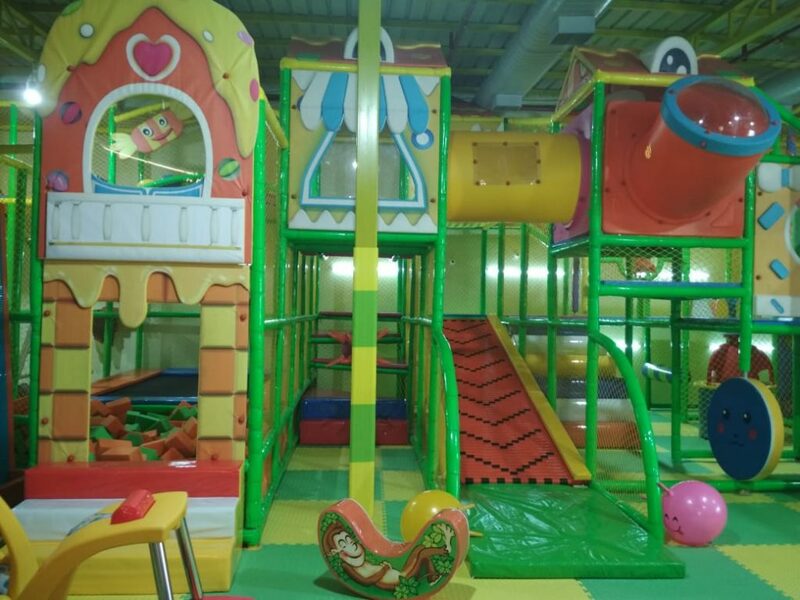 An indoor look like the park outdoor that gives a fantastic way to exercise your child. There is a safe space for jumping, running, climbing, and sliding etc. Essex Farm is a Farmhouse where you can find lots of cafe and restaurants. The playhouse by Essex farms located at last in the left side. You can find this place easily. As we entered inside, you would see an amazing smile on your kid’s face. The kids were asked to remove the shoes and sanitize their hands before entering that I haven’t seen any other playhouse. One thing should remember that socks are must in this play zone. There were lots of colorful balls, sliders, jumping zone, ball shooting machine, swings, and creativity zone along with 2 trained escorts, helping the kids and in play each game. There is a separate cafeteria where parents can have coffee, juice, and food. 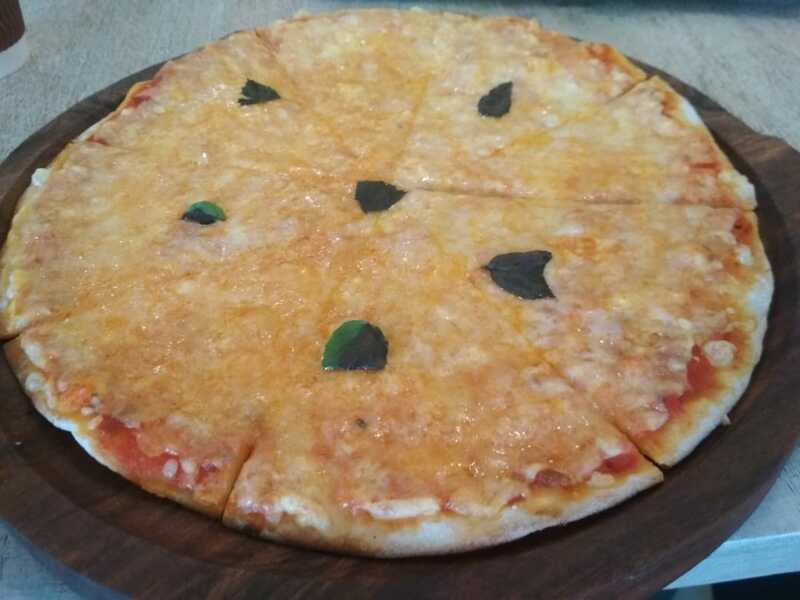 They offer you fresh and delicious food. There is mildly spiced food for kids too. You can go through my Instagram account. Kindly check my post. I mentioned the proper address so that you couldn’t confuse like me. This one will help you to find out this kids playhouse Essex Farm. 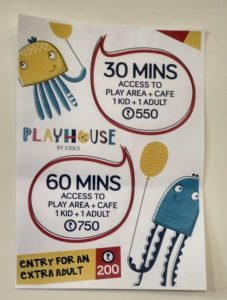 Charges: Rs.550 for 1 kid + 1 adult for 30 minutes. Rs. 750 for 1 kid + 1 adult for 1 hour. Rs.200 for extra adult. If you are looking for fun with kids, you are at the right place! You can celebrate the birthday parties too at this place. Hope you have a great weekend and a gateway to a clean space from Delhi Pollution.